Gym quotes: Find your purpose and make sure you don't waste your time. Understand what you want, why you want it and find that passion inside of you. Find your purpose and make SURE you don’t waste your precious time. Time is limited, so make sure you use yours the best way possible. 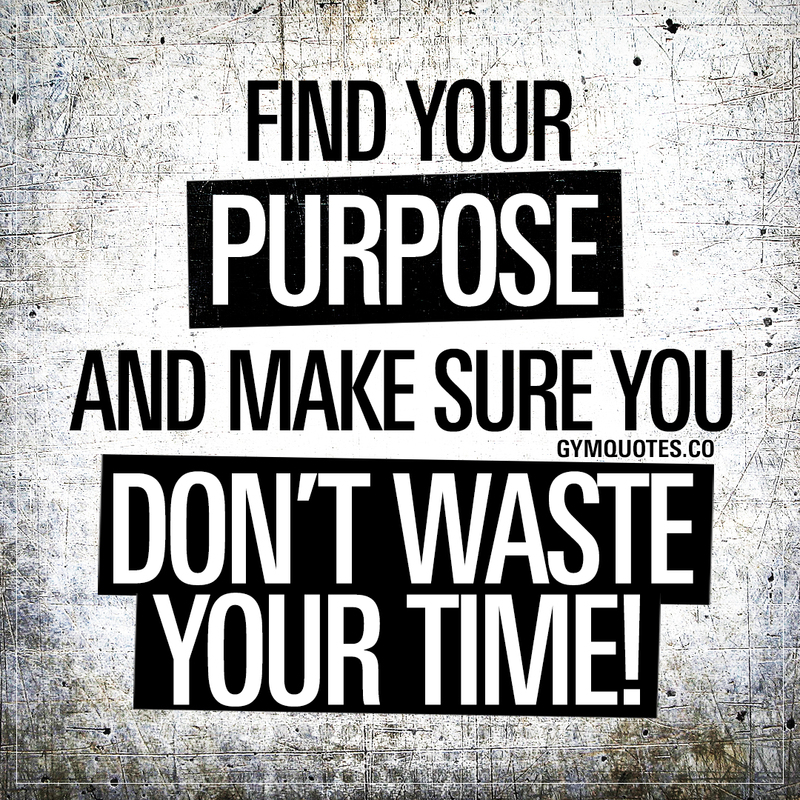 This “Find your purpose and make sure you don’t waste your time” quote (image and text) is copyright © Gym Quotes 2019.